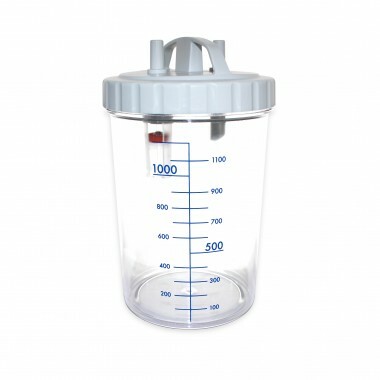 The DeVilbiss Vacuaide QSU Reusable Container 1200ml is a reusable container for the DeVilbiss Vacuaide 7314 QSU Quiet Suction Unit, enabling you to easily replace the included canister should it no longer be fit for use. The 1200ml container can be autoclaved, ensuring that you can maintain hygiene standards while reusing it. Please note that the 6 foot patient tubing is not included. The container is available individually or in packs of six, including six of every part.